Music is central to cultural life here at Queenswood and we are proud of our long and distinguished musical tradition. All our girls are encouraged to develop their instrumental and vocal potential, and helping them achieve this is an inspirational staff of 27 visiting musicians led by the Director of Music and his team. Most Queenswood girls learn at least one instrument and many learn two. Individual instrumental tuition is available on all standard instruments and voice. 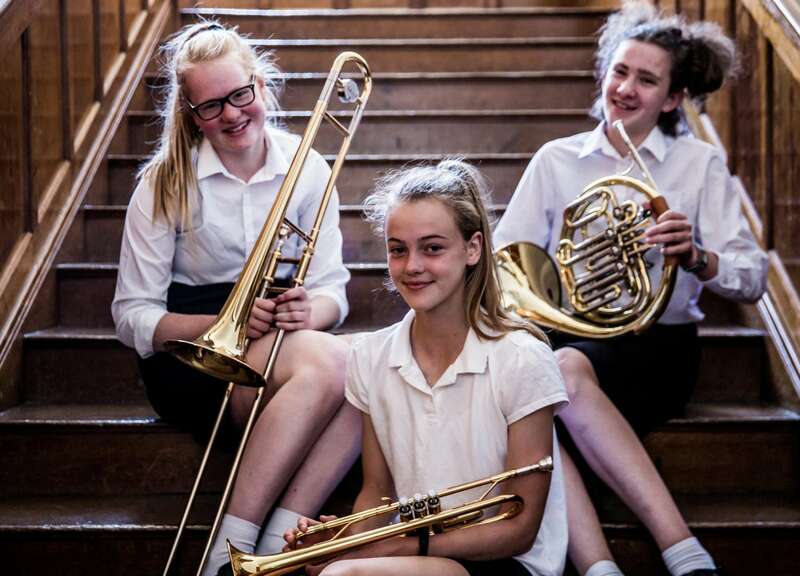 Girls are encouraged to prepare for ABRSM music examinations as a matter of course and we enter between 70-80 candidates per year for these exams. Results have been consistently high over the past few years with pupils averaging 120/150 – three marks above the national average mark of 117. We offer scholarships to musicians who show particular musical and technical potential combined with an obvious passion for the subject. For more information, please visit the scholarships and bursaries section of the website. There are many opportunities to make music with others. We offer a variety of choirs, an orchestra, chamber groups of all kinds including a percussion ensemble, flute group, saxophone and string quartets. These groups bring together students of all ages and abilities and friendships are often forged during the fun and hard work of rehearsals. We offer European music tours; recent destinations have included Tuscany and the Italian Riviera. We also exploit our close proximity to London to take pupils to concerts in the capital to enrich the music experience of Queenswood.